Are you ready for some real-life ‘Wipeout’ action? 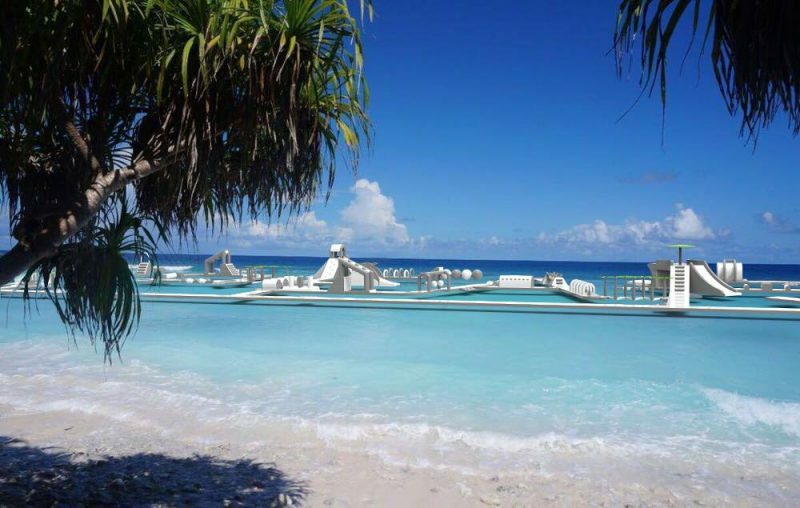 Well then this is your lucky day as there’s not just one, but THREE inflatable waterparks near Manila that can make this dream adventure come true! So get yourself packin’ and be ready to get wet and bouncing to these newest water attractions around the country that would put the fun in floating under the sun. The best part? They are only a few short drive away from Manila! You don’t have to fly out just to experience Santorini, a six-hour travel up North to Ilocos Sur can bring you to Vitalis Villas where you can feel the fresh breeze that’ll make you feel like traipsing along the Mediterranean shore. Also just like the white washed houses perched at the cliffside of Santorini, a trademark of the Greek island, Vitalis also has its own versions – Greek villas that tourists can rent for truly relaxing vacation. 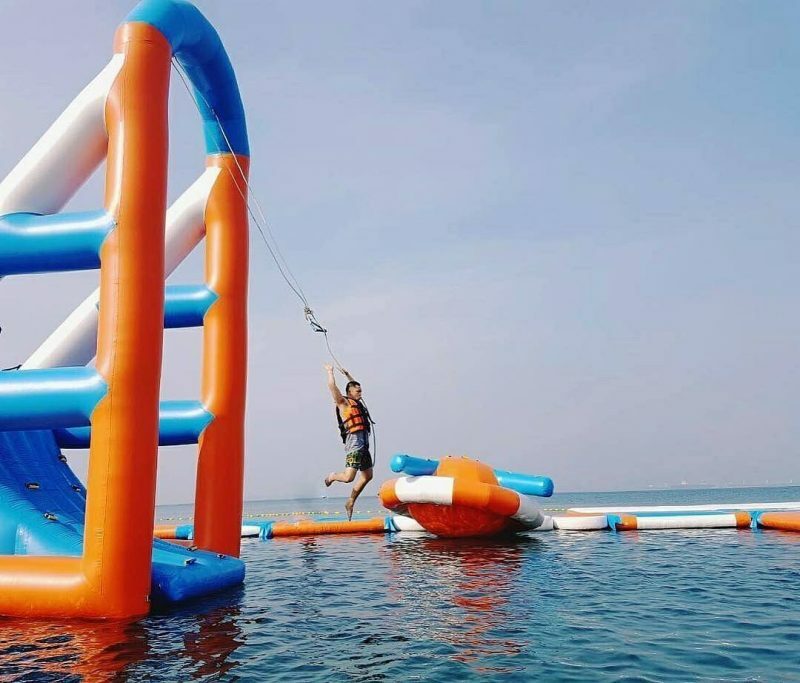 And from charming Greek scenery and Filipino hospitality, Vitalis also offers a fun filled adventure with its Aqua Play, an inflatable island full of obstacle courses located by the beach of sister resort, Vitalis White Sands, facing the picturesque façade of Vitalis Villas. 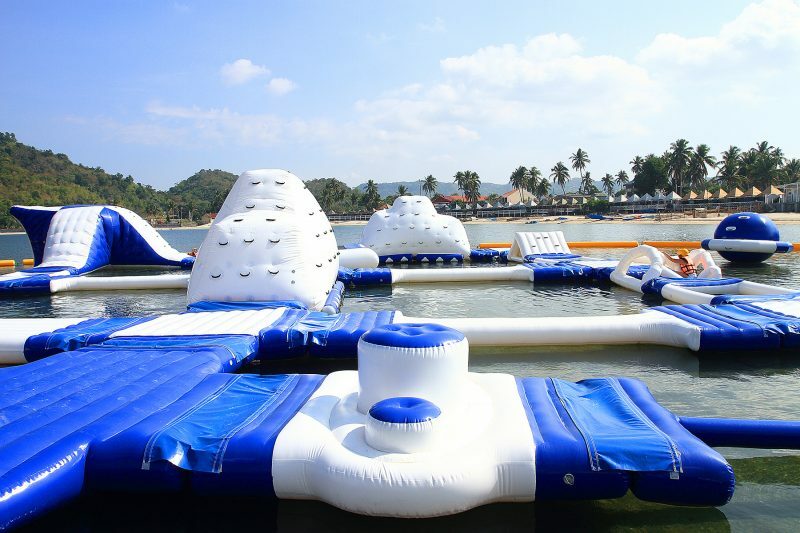 Opening only last April 1, the Inflatable Island is the largest floating playground in Asia with a size of 3,400 sqm. or equivalent to 8 basketball courts. 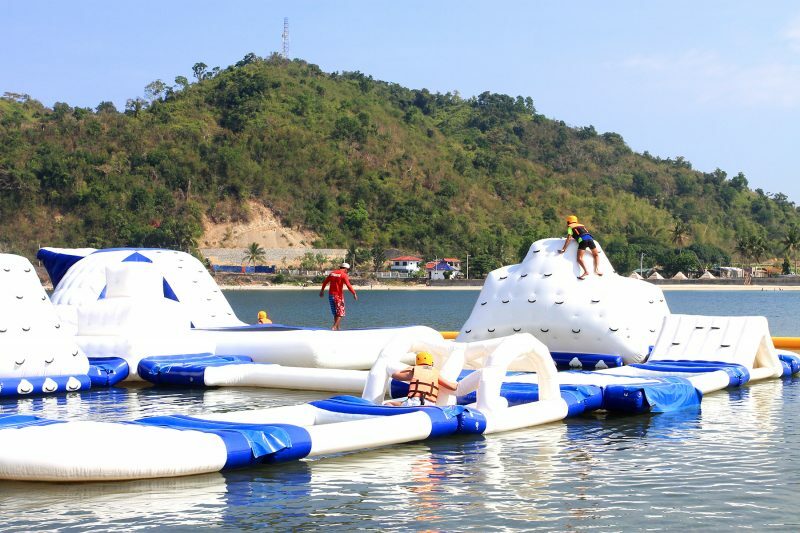 The Inflatable Island features inflatable slides, bridges, walls, towers and human launchers. If you crave for more heart pumping experience try the floating island’s 10-meter Tarzan swing and its 9-meter human launcher. You’ve enjoyed the view of Taal Volcano for years, now it’s time to enjoy the lake surrounding it with its unique water park adventure. 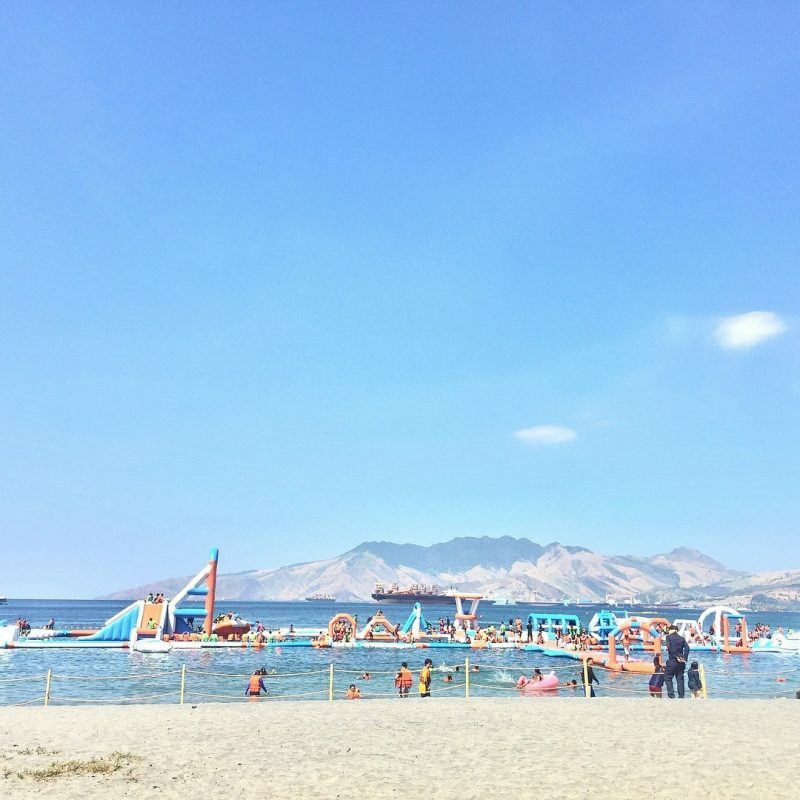 Club Balai recently opened its Aqua Park, an inflatable playground set off the shore of Club Balai floating at the calm Taal Lake with a great view of the Taal Volcano. In Club Balai’s Aqua Park you can experience the tallest inflatable water slide in the country. It offers a non-stop fun while bouncing through each floater around the obstacle courses which are made of inflatable trampolines, water slides, and human launchers.